Socabelec East Africa has contracted ABB to design, supply and install a PowerStore flywheel-based microgrid stabilisation solution for its Marsabit wind farm. Marsabit is an oasis located at the edge of a desert in northern Kenya. 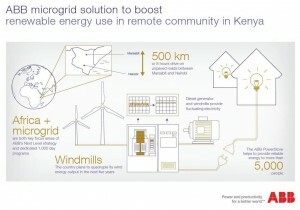 Because of its remote location, the city is not connected to any national grid and satisfies its power needs via an isolated microgrid consisting of diesel generators and two 275 kilowatt (kW) wind turbines. In search for a secure, clean and stable power supply to service the needs of this remote community, Socabelec selected ABB’s containerised, 500 kilowatt (kW) PowerStore stabilisation system which will be integrated into the existing power network and will interface with existing diesel power station controls. ABB’s microgrid solution – which was developed by the company’s Microgrid and Renewable Energy Integration team in Darwin, Australia – will maximise renewable energy penetration by stabilising the grid connection and utilising any excess wind energy generated. 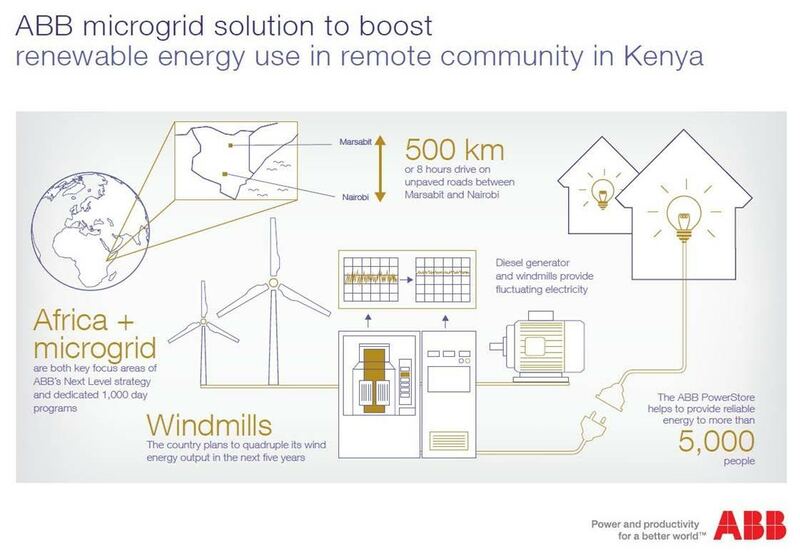 “Sustainable development of Africa and fostering microgrid solutions are both key focus areas in ABB’s Next Level strategy and dedicated 1000 day programs have been constituted for them,” said Claudio Facchin, President, Power Systems division. Often utilised in harsh and remote environments around the world, ABB’s PowerStore is a compact and versatile grid stabilising generator with a primary purpose of stabilising and protecting power systems against fluctuations in frequency and voltage. This dynamic flywheel-based system can inject or absorb power up to its nominal rating, and helps to integrate intermittent renewable energy into a grid, so customers can operate their hybrid plants in an optimal way.